What is secret to this small European country's success in attracting global industry players and multinational companies? Companies all over the world have begun forging a new digital economy, with pockets of fintech innovation buried in every corner of the globe. Amidst it all, Belgium has emerged as one such hub and many in the industry now consider it to be the fintech center of the European Union. This relatively small country has for centuries been at the forefront of innovation, with many historical contributions to the development of science and technology. Belgian scientist Georges Lemaître first proposed the Big Bang theory in 1927, which to this date is the leading theory in physics as to the origins of the universe. With Brexit now placing considerable strain on the UK to maintain its position as a fintech leader, many British financial institutions are now looking westward to secure their place within mainland Europe. Brussels, the capital of Belgium, is frequently the first choice, with several businesses already opening up offices there and many others soon to follow. 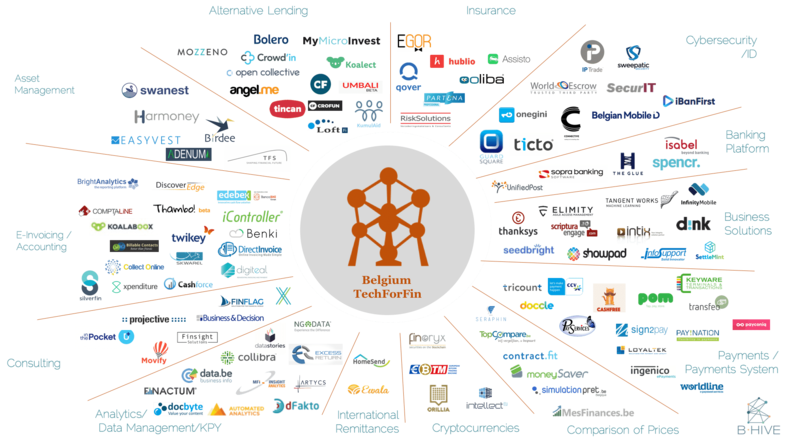 Fintech companies developing groundbreaking new technologies are increasingly drawn to Belgium as their base. The country is home to international decision-making institutions, global payment infrastructure providers, and a highly engaging business ecosystem. In counting the number of fintech deals in 2017, Belgium currently sits at 5th place in the European fintech ranking according to B-Hive, the European fintech platform. B-Hive is a vibrant ecosystem of front-row providers of financial services, dynamic startups, and government actors working in financial and technological institutions. Due to its central location, the capital of Brussels is easy to reach from most EU financial hubs bringing together many fintech innovators and financial institutions from all over the world. With 80 percent of European purchasing power within a 500-mile reach, Belgium is undoubtedly one of the best places to establish and grow a business. Additionally, the traditional image of finance has changed recently. As the global economy continues to shift into a digital space, solutions for transacting without borders and limitations appeal to a younger generation who grew up with the internet at their fingertips. Fintech is a field which attracts young people especially, who bring their new energy and vision to the industry. Brussels and other Belgian cities are known for providing excellent opportunities for fintech companies with high R&D funding, attracting multinational companies to open their offices there with a potential to reach well across Europe. Dozens of research centers, incubators, accelerators, and science parks, as well as over 100 tech companies, are contributing to the innovation ecosystem that continues to grow. The Flemish city of Leuven, in particular, earned its reputation as a vital tech center due to the role of the local tech giant IMEC. This independent research hub for global electronics and digital community, focusing on nanoelectronics and digital technologies, is home to 4,000 people working on the latest cutting-edge tech and hardware improvement. IMEC’s cleanroom capacities, living labs, and training facilities are of invaluable importance for product fine-tuning, while their funds and entrepreneurial support, especially merged with iMinds, the Flemish digital research center, help new digital and tech companies set off and grow successfully. To help companies reach the market and implement regulative standards, Belgium is home to several organizations working in both the European and international level of financial activity, including the European Association of Payment Service Providers, Federation FinTech Belgium, and the European Association for Secure Transactions. When it comes to funding, fintech startups and growth-stage companies can count on the extensive funding support of the Belgian government. Backed by insurance companies and banks, the government has brought together several major investors to create a super-fund for tech projects. Entrepreneurs, scientists, and businesses come together, thriving through a strong network of scale-ups, while expanded tax shelters and fiscal incentives for investments in development support the growth of companies. This is especially important for young startups and SMEs looking to break ground in the highly competitive fintech market. Operating within close proximity to major financial institutions are of great strategic importance for many fintech companies. The European Payments Council (EPC) in Brussels is a cornerstone fintech institution, guiding electronic payment methods in the Single Euro Payments Area (SEPA). It enables a uniform and synchronized payment experience to citizens and businesses across the SEPA, and not just in their home countries. Directly and indirectly, the Council is affecting the ways citizens of over 34 European countries pay for their goods every day, equating to almost 40 billion transactions yearly. The standardization set by EPC is the norm for payment cards, also influencing the interoperability of mobile payments at the European level, improving their convenience, safety, reliability, and cost-effectiveness. These are vital aspects that must be accounted for in the endeavors of any fintech company. No matter how cutting-edge the underlying technology is, the payment service providers inevitably have to consider and apply the standards set by EPC, to be able to serve as broad a community base as possible. Therefore, it is much easier for card producers to be local to the institutions providing these systemic guidelines. Fintech companies based in Belgium not only benefit from the high growth of the region but are positioned in the front row as the broader European market unfolds. In order for the fintech industry to thrive globally, we need strong bases like Belgium, which nurture innovation, with both political and local support helping to carry forward the vision of these ambitious teams. Only then can these teams driving the fintech movement reach beyond their local folds and truly transform the economy on a global scale. 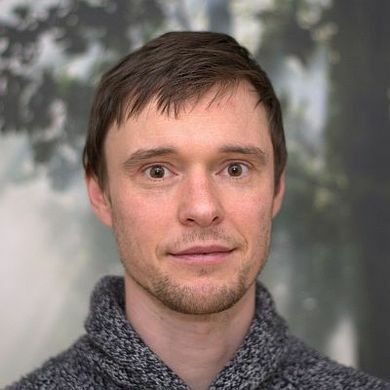 Alexander Vasylchenko is the CEO & Co-Founder of Sofitto and creator of Sugi Card. He’s also the former CTO of Mycelium, one of the first secure mobile Bitcoin wallets created in 2013.